To ensure the safety of residents/families, staff and volunteers, we keep all doors at the residence locked. Please press the button to the left of the Adelaide St Entrance door, you will hear a sound indicating that the door is now unlocked and you can enter the building. You will be greeted warmly by the Reception Volunteer who will ask you to sign in and use the hand sanitizer. 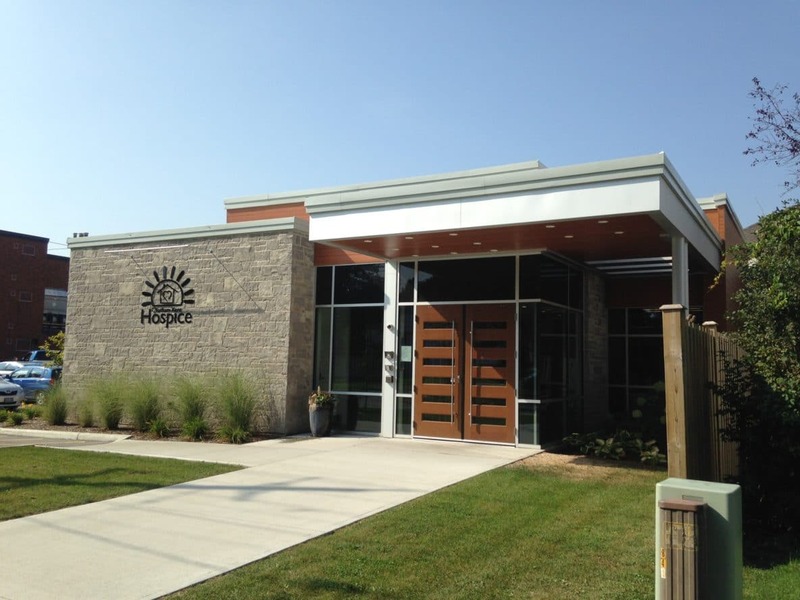 Chatham-Kent Hospice operates 7 days a week, 24 hour a day. The reception desk is staffed by a volunteer from 8:30 am to 8:30 pm who will welcome guests and visitors. After hours, a nurse will assist with access. Chatham-Kent Hospice welcomes families and caregivers to stay 24 hours a day should they need to. Each suite can accommodate family members wishing to stay overnight. Family members and friends are able to visit at any time a resident wishes. Please notify the nurse if you are planning to stay all night. Visitors are required to sign in and out at the Reception Desk. 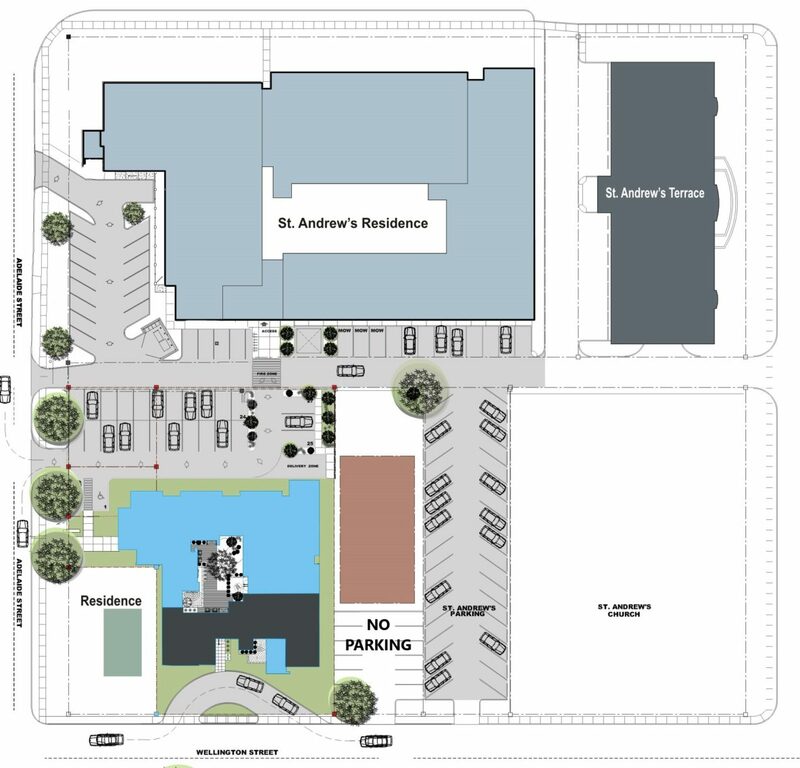 Visitors are asked to park in the parking lot off of Adelaide Street as indicated in grey on the map below. The visitor’s entrance is also off Adelaide Street.